So much going on right now, it’s hard to know where to start. I’m editing my previous eBook, 3 P’s in a Pod: Prayer, Purpose, and Passion, and having another eBook formatted for Kindle at Amazon, a close family friend’s husband and her sister passed away the same week (my husband Ray is officiating at the funeral), Ray is teaching an EMT class at work and our daughter Leah is taking the class to learn the skills, Ray and I went to see War Room yesterday (the movie on prayer-powerful), and I just spoke at Women’s Aglow in Grandview, MO, on Cinderella and her unique glass slipper (about walking in your purpose). 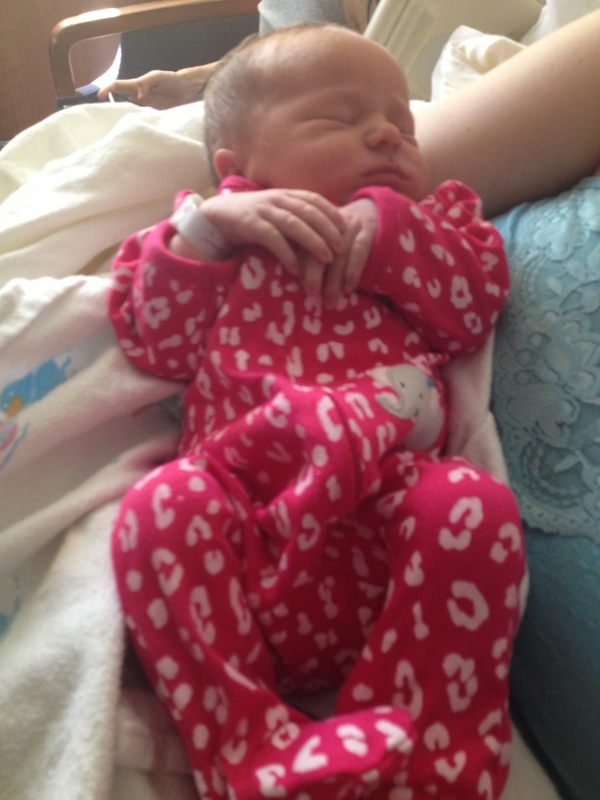 But I think the best news is that we have a beautiful, new addition to our family! Thank you, Jesus! 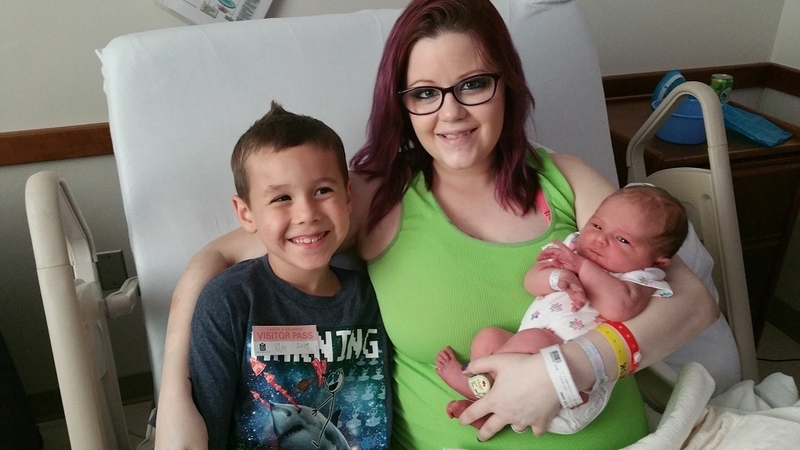 Our middle daughter Eden was pregnant with her second child and she had her baby girl, Piper Elizabeth Raine Gooch. 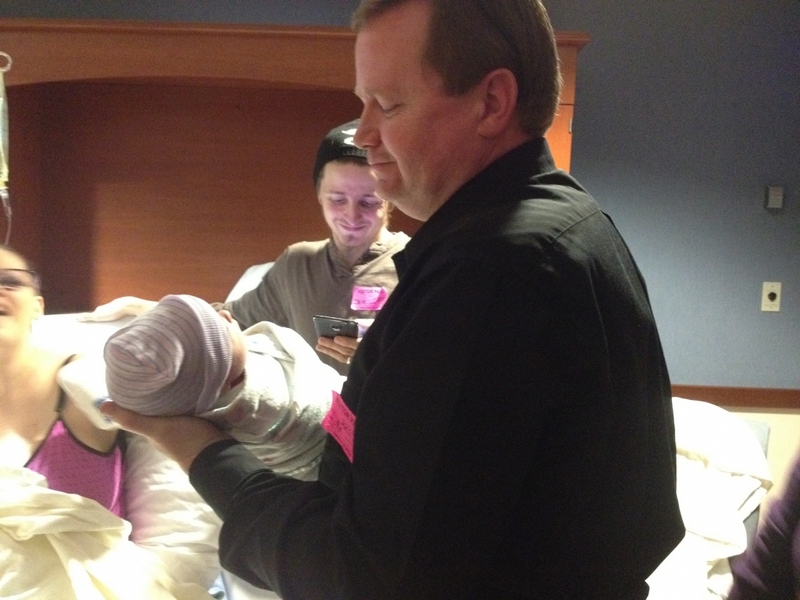 Piper was 7 pounds 5 ounces, has brown-blonde, curly hair with red in it, and is a healthy girl! Isn’t she beautiful and precious?! 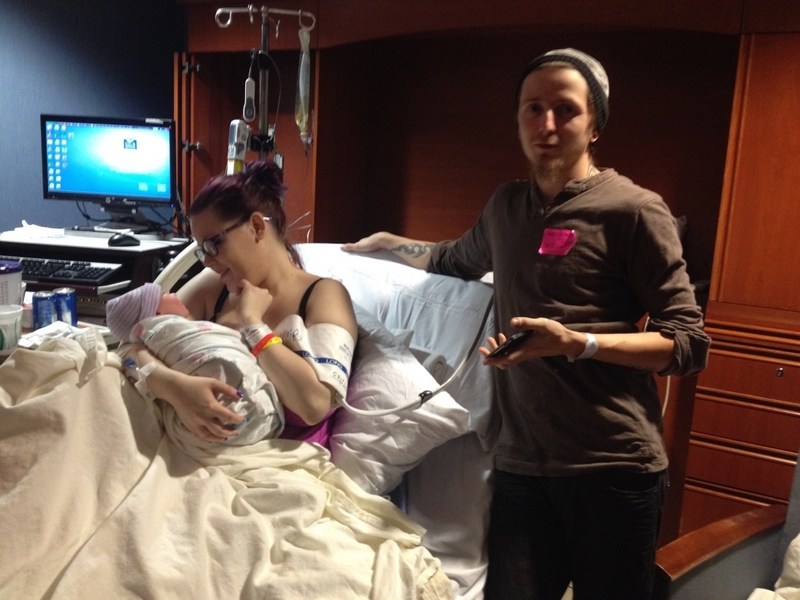 Below is a picture of Eden at the hospital in labor. 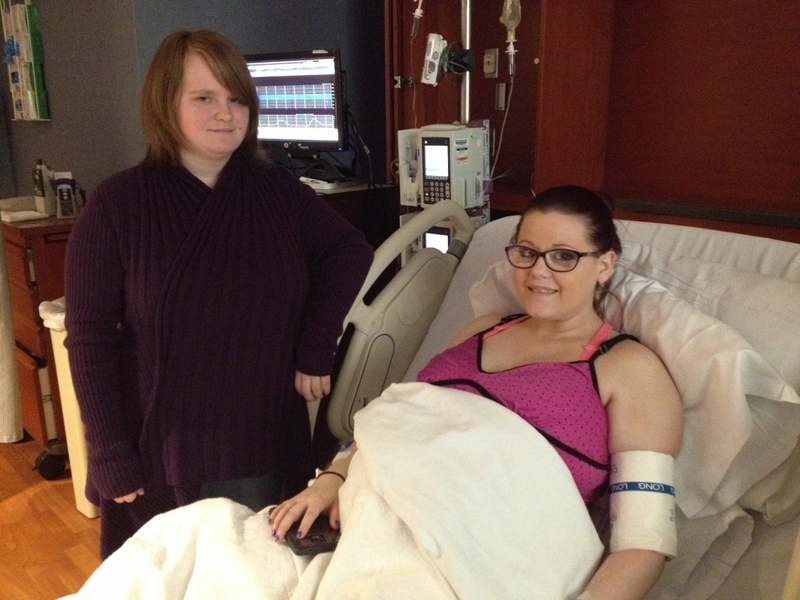 She had the most remarkable, nearly pain-free labor I’ve ever heard of or seen, with the medicine they gave her (Nubain) and the epidural. While she did feel pressure, there was no crying or screaming. I was so amazed! 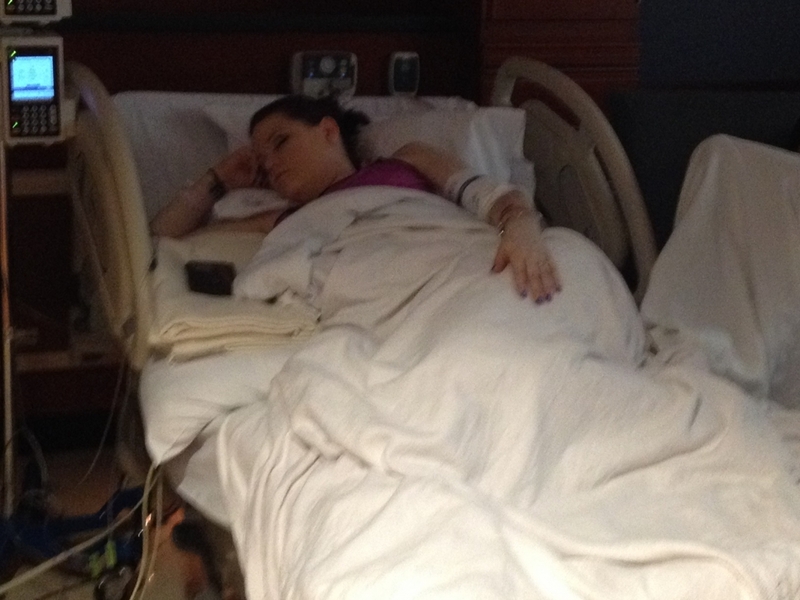 Here is Eden sleeping at the hospital during labor. 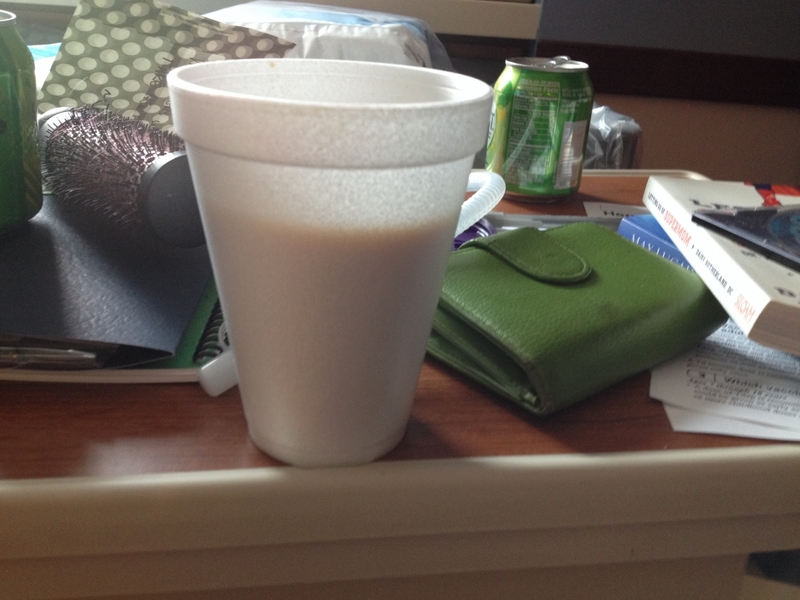 Craig had worked before coming to the hospital, so he dozed a little, too. Eden had to be at the hospital with Craig at 5:30 a.m. and Ray, Leah, Heather and I arrived at the hospital about 8 a.m. She didn’t have Piper until about 10:30 p.m. that night, so it made for a long day for all of us! Cups of coffee helped pass the time! 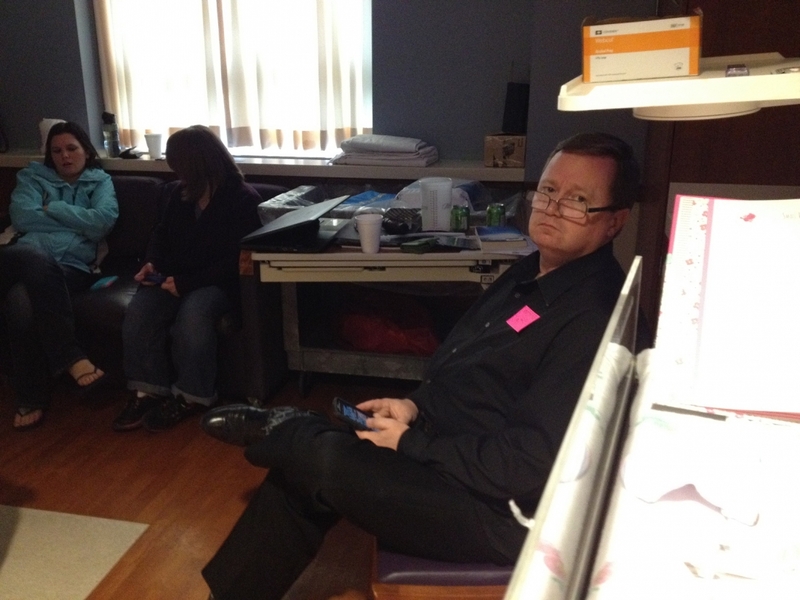 Here’s Ray on his phone and Leah and Heather chatting. Heather had to go back to work around noon, then she came back later to help Craig coach Eden during delivery, an amazing (first time) experience for Heather. She said they all cried when beautiful Piper was born! Right before delivery, Heather and I busted out laughing because Eden had been talking all day long while in labor and was talking even more than usual right before delivery, because she was nervous. 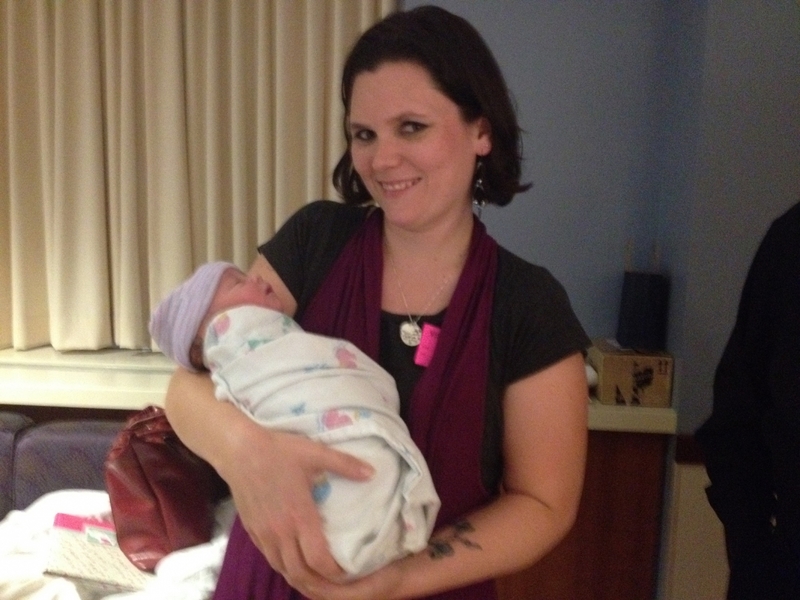 She put on her makeup right before labor, too, which was funny to me….but I understand, because I don’t go anywhere without my eyeliner! 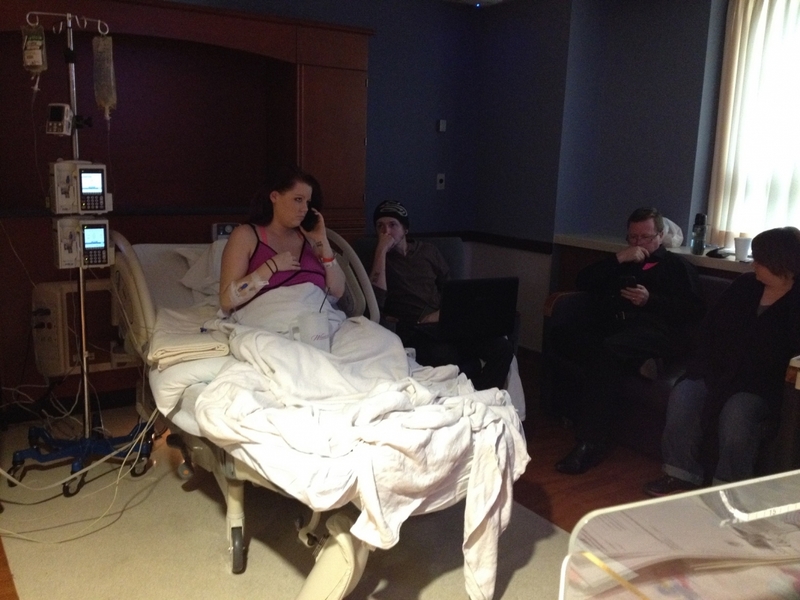 Her friends and family were in the room with her to spend a few minutes with Eden before she had Piper. 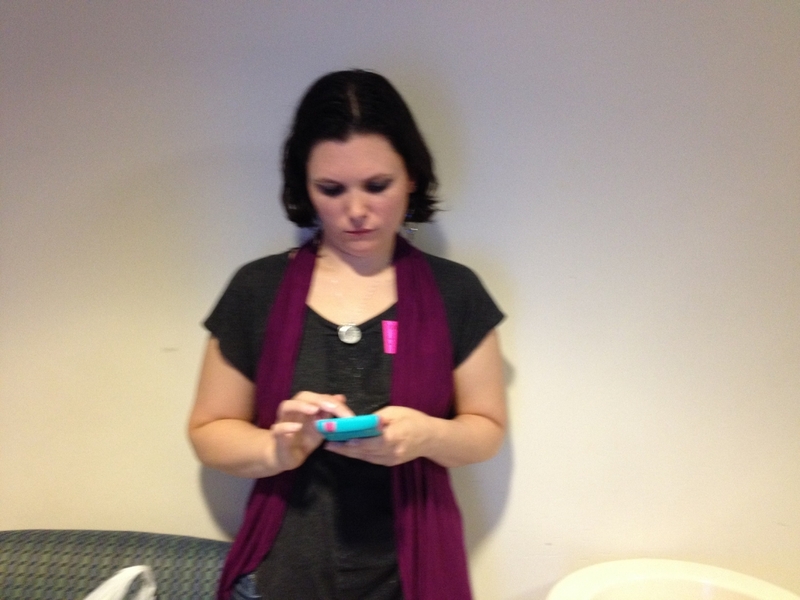 Below is a picture of Eden on the phone in the labor room, lol. 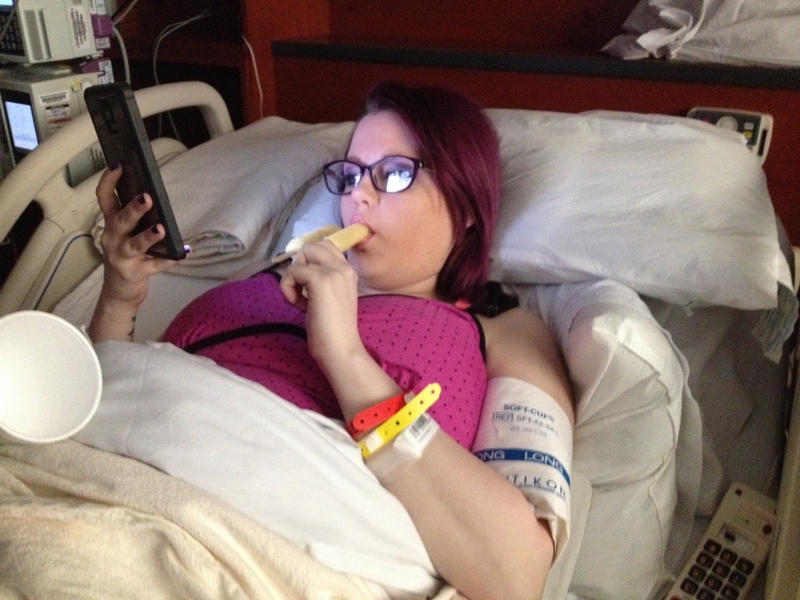 One of the happiest times during labor was when the nurse brought Eden a banana popsicle. She actually had two of them (the other was cherry flavored). She’d only been allowed to eat ice chips up to that point and she was hungry! 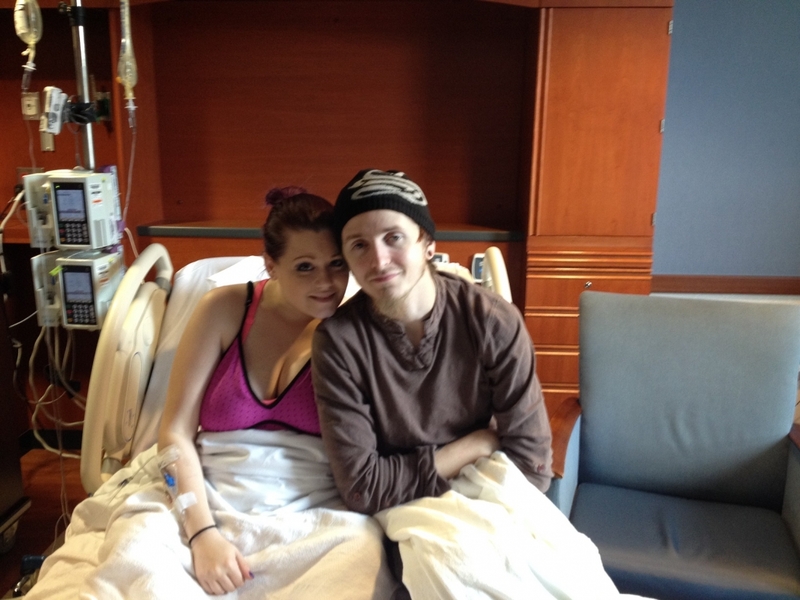 Below are Eden and Craig, eagerly anticipating holding their baby girl in their arms. By the time supper rolled around, Ray, Leah and I felt starved (we’d had just snacks for lunch). 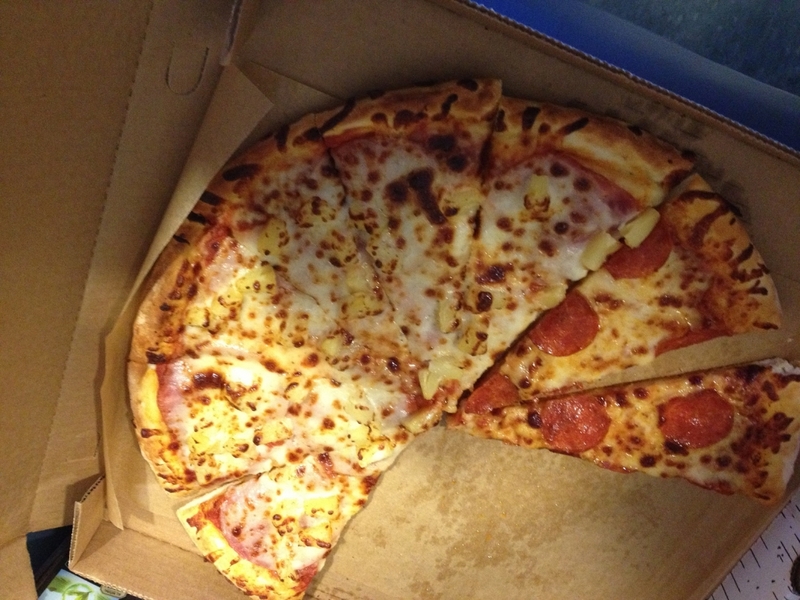 Our oldest daughter Heather brought us a pizza and we quickly devoured it in the waiting area (to not tempt Eden with food). Heather is such a good, thoughtful daughter! 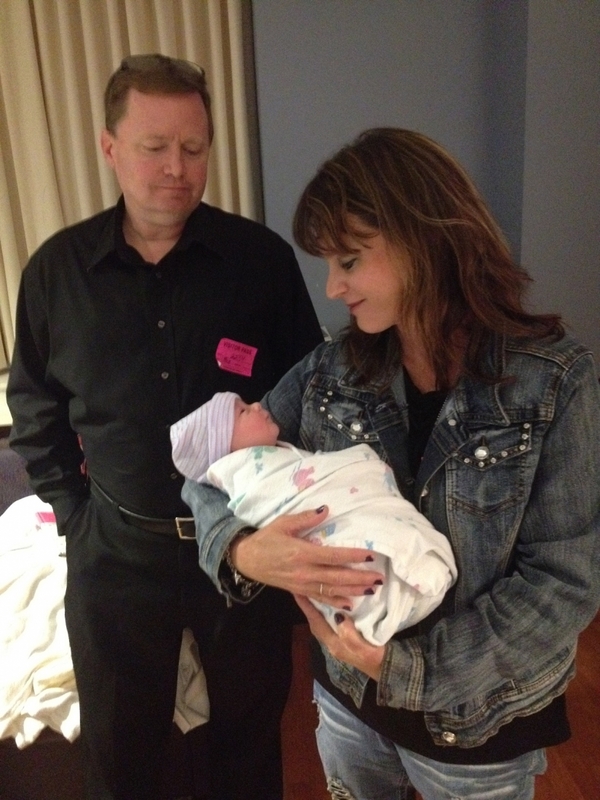 Eden and Craig were so happy when Piper was born. She is just perfect and such a joy to us all! 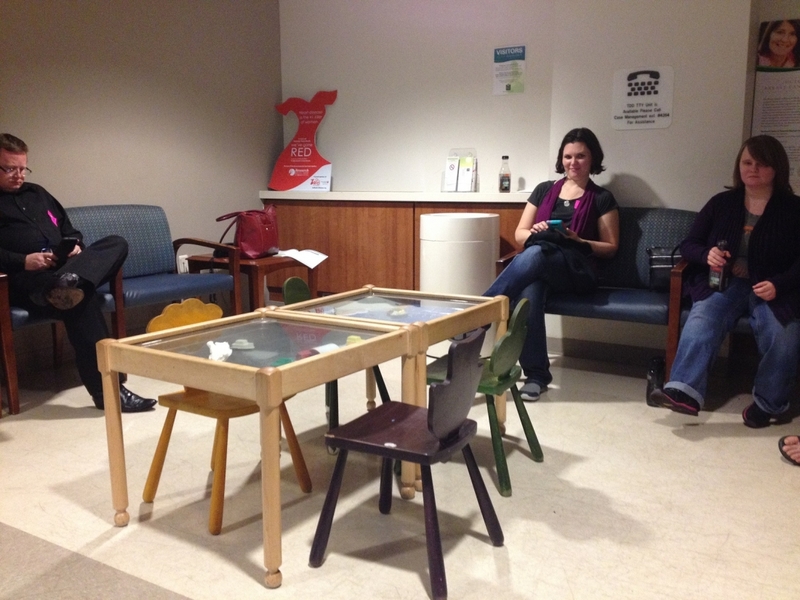 Heather had never been in a labor room before, but Eden wanted her in there with Craig, her and the hospital staff. 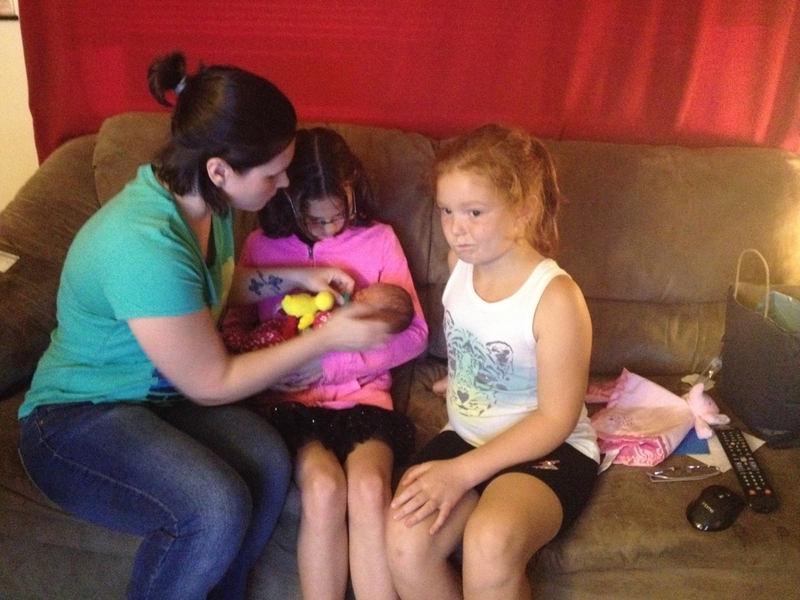 She said it was incredible witnessing the birth and when Piper was born, they all cried. 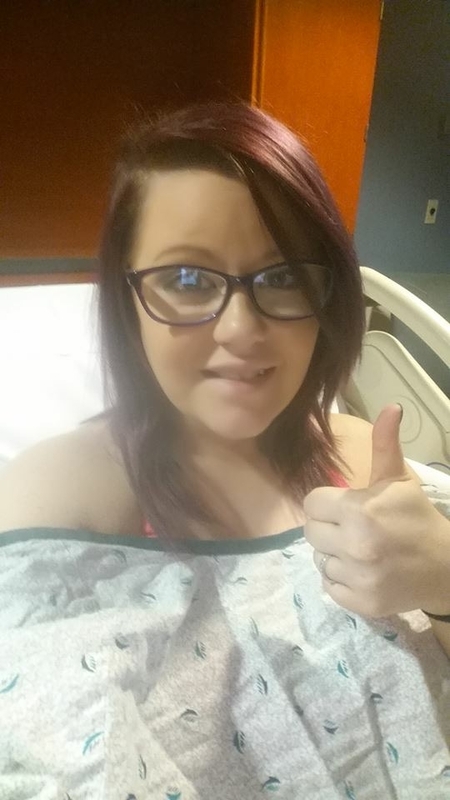 Heather is a proud aunt! As Eden handed Piper to Ray for him to hold her for the first time after delivery, tears streamed down her face and she said, “Isn’t she beautiful, daddy? I’m so happy!” Naturally he was smitten with Piper! 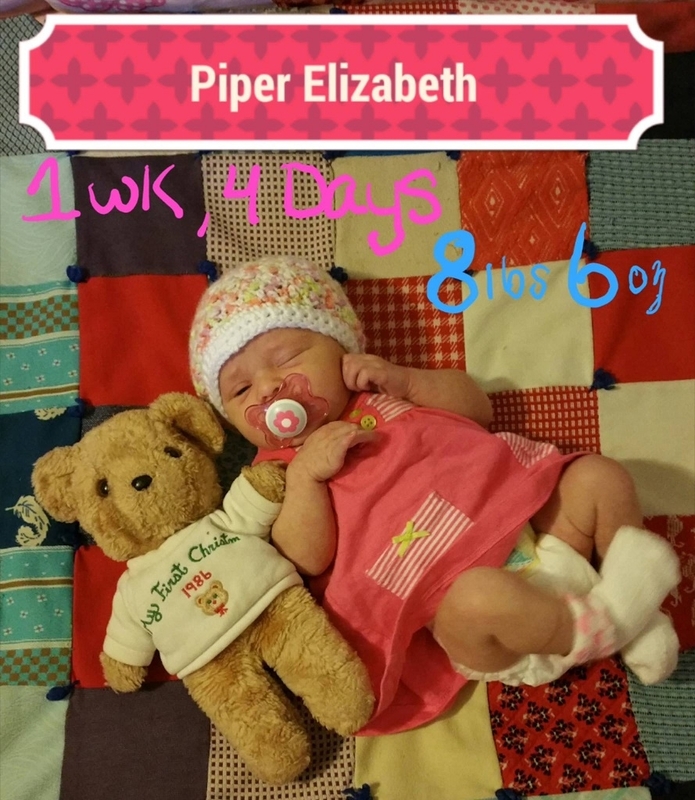 Craig and Eden greatly honored me by naming Piper’s middle name after my formal name, Elizabeth. I’ve never had a namesake before, and this really blessed me! 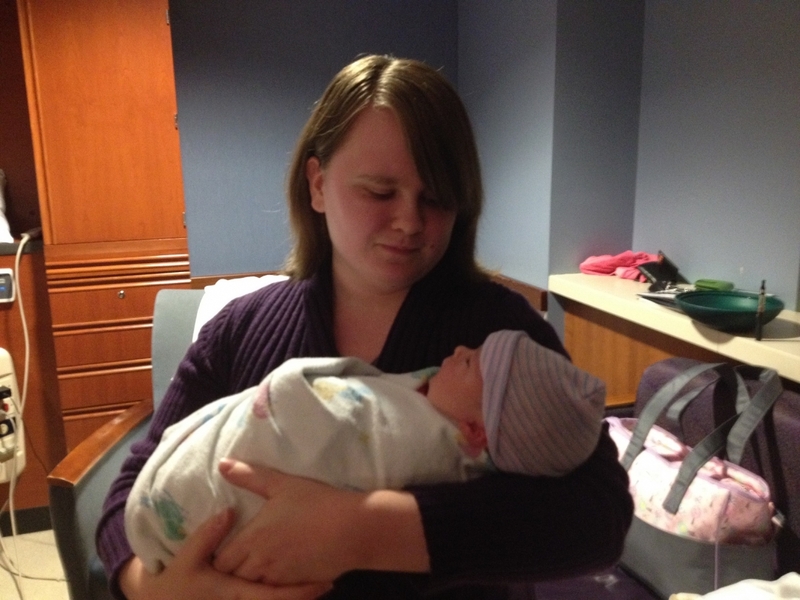 Below I am holding PIper right after she was born for the first time. 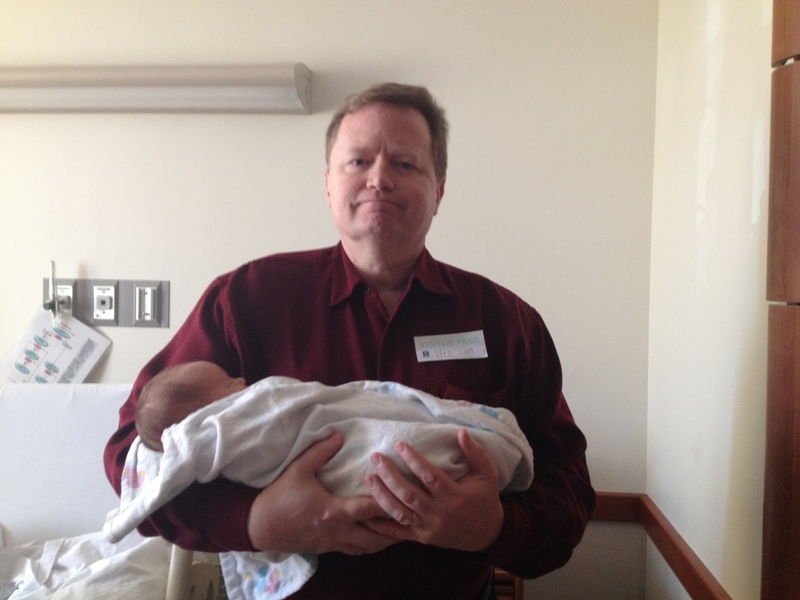 Here I am holding Piper when we came to visit Eden at the hospital 2 days later. I actually did a scope (Periscope) with Piper while there, lol. (I got Eden’s and Craig’s permission first to do it.) I joked that she’s now a social media star. You can follow me on Periscope @bethmjones. 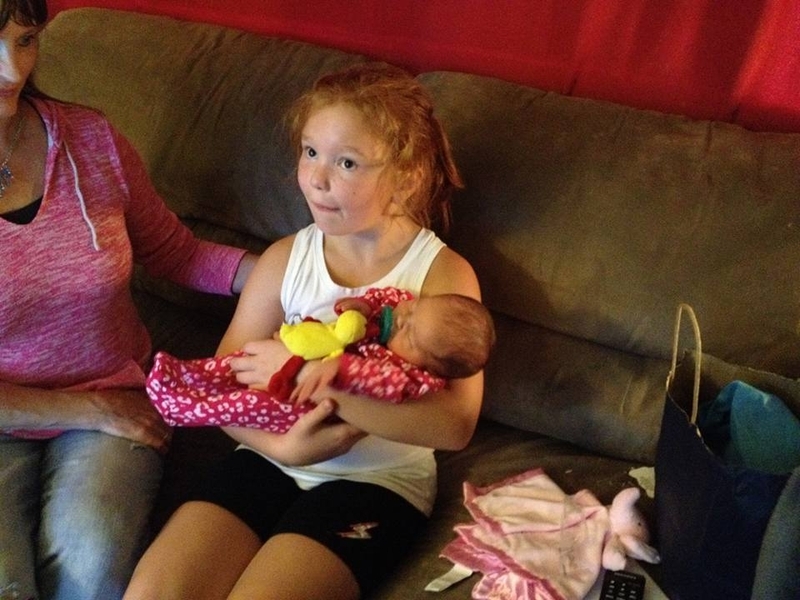 Here is Eden’s sister Leah with Piper. She was afraid to hold her, because she didn’t want to drop her. 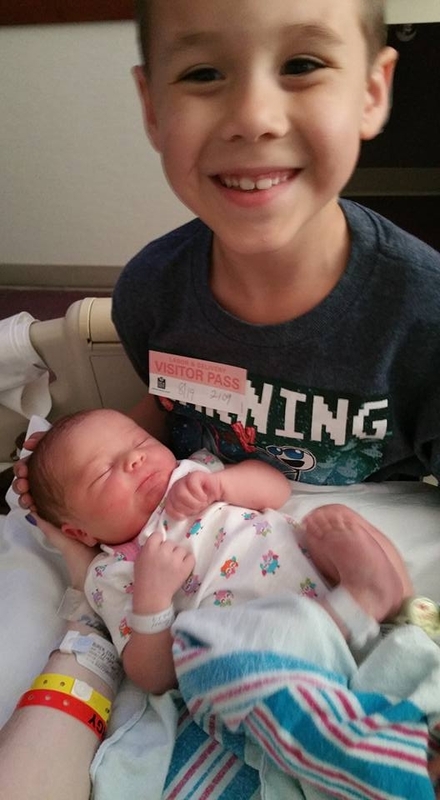 She did great, though, and is a proud aunt, too! 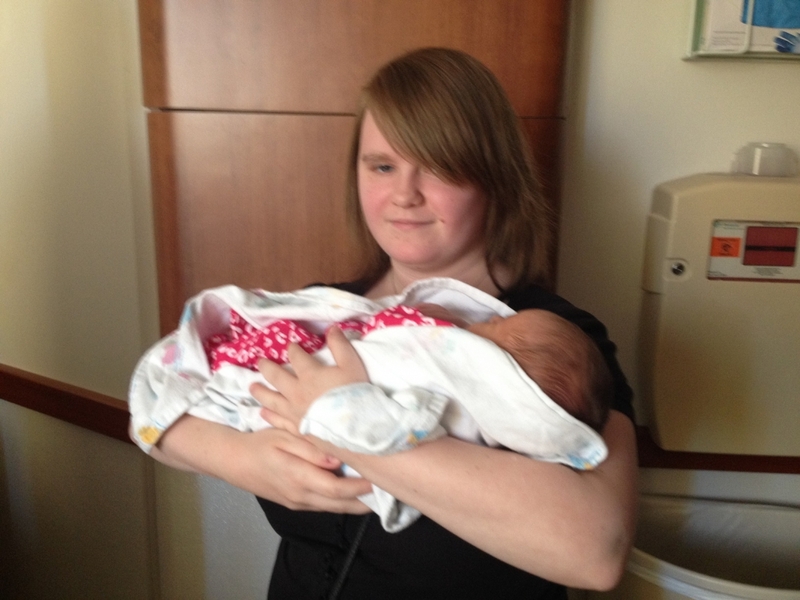 Here’s Leah holding her again when we went to visit Eden later. I think she’s a natural at this! Heather’s girls Annabelle and Violet also immediately loved Piper. Violet wanted to “play” with her, lol. I had to explain she can’t sit up yet or crawl. Annabelle wanted to know if she could at least “army crawl.” Not yet! 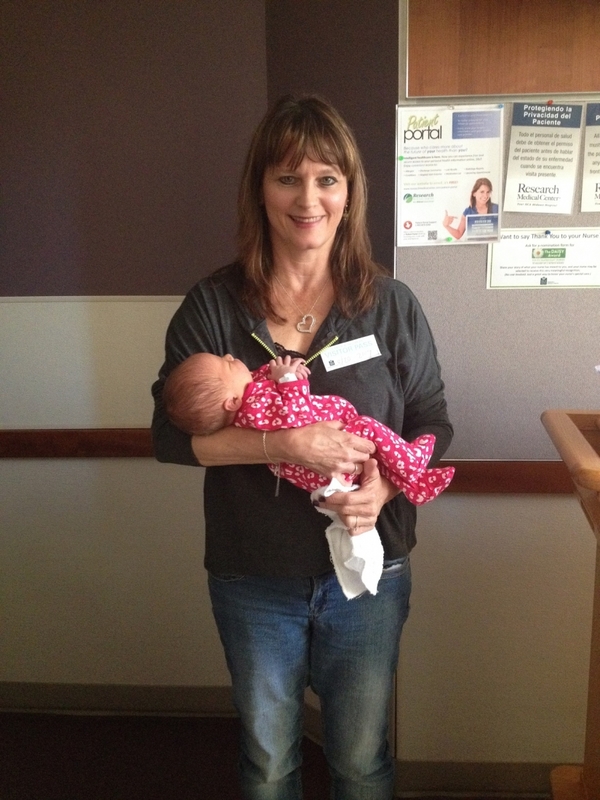 We’re so thankful that Eden had a smooth, relatively pain-free labor and delivery (she only pushed 25 minutes! ), and for a healthy baby girl. God is good and worthy to be praised! Thank you to all of you who prayed for her and Piper! We are very excited and happy that she is here! 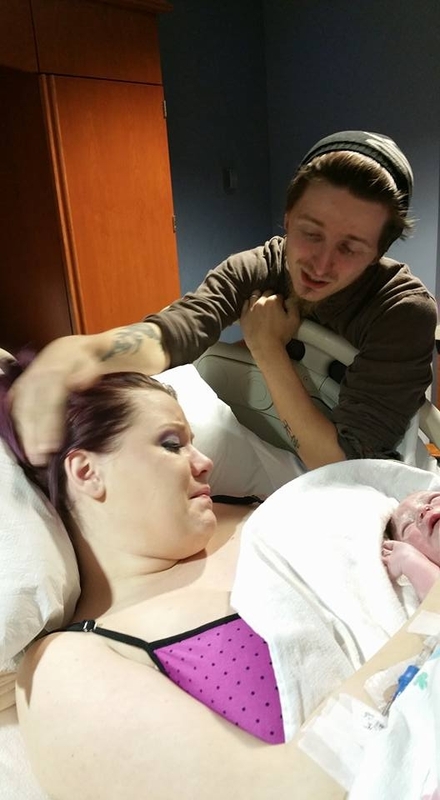 Mom and baby are doing good.